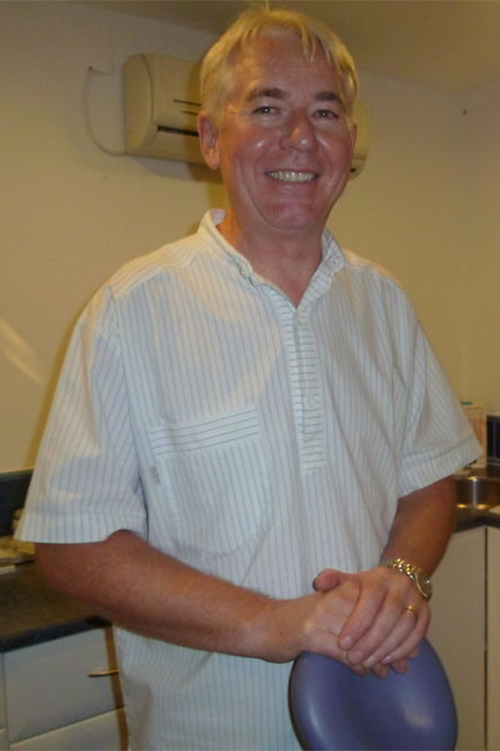 John is a UK qualified Dental Practitioner with many years experience. He is currently running a multi-disciplinary clinic in the Algarve, where, he says they are “privileged” to accommodate the services of Douglas when he visits the region. “I have always been impressed by Douglas’s sincerity and the excellent reports from his clients. However, during his visit in April 2013, I was able to witness the result of his healing powers with one of my patients. This lady was treated elsewhere in the Algarve by a dentist who used a very toxic material to treat the root canals, but some escaped into surrounding tissues. The tooth had to be removed, but the toxic material caused localised bone necrosis – a very painful condition, requiring daily cleaning and dressing of the wound, while the toxin slowly dispersed. After this had been going on for some months, with slowly progressing healing, the patient was suffering particularly severe pain, while Douglas was in attendance at the clinic. I suggested to the patient that they allow Douglas to administer his healing technique, which they agreed to, as it could do no harm. Immediately after Douglas completed the treatment, the pain went completely – which could have been a coincidence. However, when reviewed the following morning, the pain relief was still apparent, but also the swelling in the surrounding gum had markedly reduced. Douglas was able to undertake a further session that evening, and again, the following day there was a further marked improvement. Having observed this patient’s condition for such a long period of time, the improvement after her treatment with Douglas was very unlikely to be coincidental. I can thoroughly recommend Douglas to anyone with a chronic, intractable, medical condition. Leave your email address to receive my latest e-brochure! Subscribe for the free e-brochure!